Whether you go to a big company or a local contractor, your advertised window prices will range from as little as $200 to as much as $1,000 to install a simple double hung vinyl window. While $200 for a new window is really cheap, and $1,000 is way too expensive, the devil is always in details. So let’s take a look at how much replacement windows actually cost – both for the unit itself, as well as the installation. In this post, we will stick to vinyl replacement windows. For other materials, installation cost is nearly the same, while wood and fiberglass window options are at least $300 more expensive than average quality vinyl. 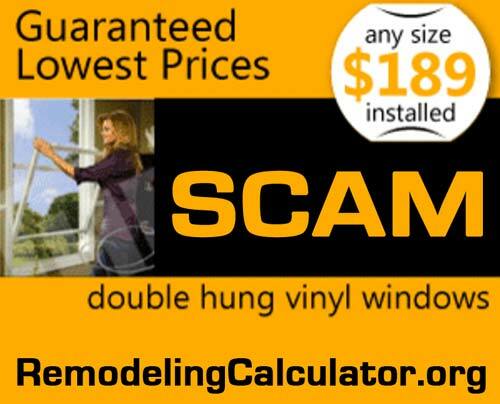 Basically, no company can make money selling vinyl windows for $200 installed. The cost of materials, installation (big contractors hire sub-contractors, and pay them for each window installed), sales commission overhead, and profit will be way more than $200. Most of these low cost windows are very small, typically UNDER 79 U.I., while typical home window is over 89 U.I. (measured in United Inches or U.I., which is the sum of height and width of the window). Moreover, there are other VERY serious restrictions on what you actually get for this advertised price. These restrictions work so that most clients CANNOT get windows for $200, because they will need a bigger unit than is included in this price. Lastly, these prices also DO NOT include any energy saving upgrades, which are important and are often required by local building codes. These windows also do not include additional features, which are nice to have, such as: grids, good locks, decent weather stripping, etc. For $189 window installation cost you can get a basement size lowest quality “window” that will not be any better than old single-pane windows you want to replace in the first place. Bottom line – most homeowners will not get for the advertised $200 price. How Does The Low Cost Of Replacement Windows Work? 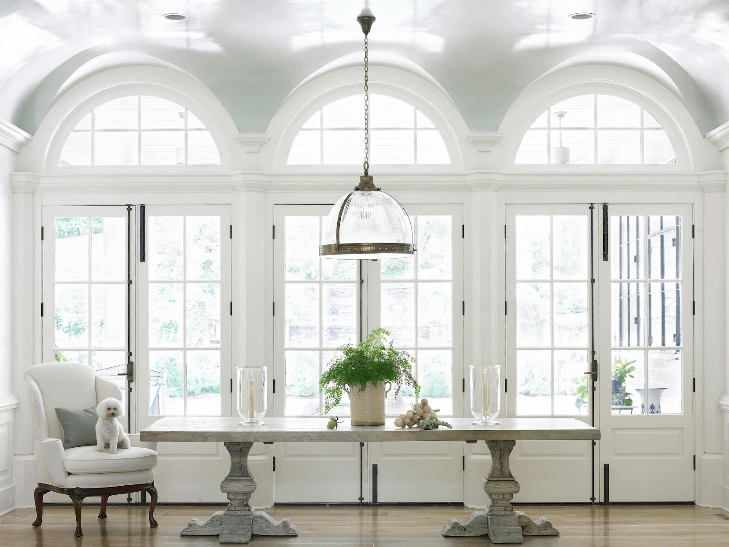 Big window companies typically use a large supplier (such as Alside) for their windows. They cannot use a smaller local company, as they cover big territories, and logistics of dealing with a small manufacturer would kill profit margins. Sears (and according to our sources Window World) as well as other “contractors” used Alside (as of 2012) for their vinyl windows, and I also installed these same windows for my customers, so we will use them (and their prices) for the purpose of this guide. Other manufacturers offer nearly the same lines and prices, so it is not that important who made the windows (except for Anderson – they make their own windows and charge much more for them, compared to other manufacturers). Alside basically has 3 lines of vinyl windows, and a couple more “lines” that are a mirror image of these 3 main lines, with just a few minor differences in design, and a different name. Fully welded frame and sashes, thick vinyl frame walls, good insulator, available with triple-glazing and Crypton / Argon gas. Can have an equivalent of up-to 6.7 R value. Welded sashes and frame, better insulator, thin vinyl walls, double glazing only. These are OK, but not great. Mechanically constructed frame and sashes, thin vinyl walls, low-end insulator. I would not install these windows for a client, and these are usually put in rental properties. All of the above products can be outfitted with Low-E, and Argon insulation gas for better energy efficiency. If you got a price for a new window in the range of $200, you are getting a “Century” type window, under 79 U.I. without any options, and probably without insulation. The reason I list Alside windows here (and not Anderson or Pella or other brand) is because I worked personally with this manufacturer, and installed their windows for all of my clients. The replacement windows described below are VINYL. The average cost to replace windows made of high-end FiberGlass or wood will typically be at least $300 – 400 more that min-range vinyl windows. If you go to any Alside location, there is a windows catalog available, which includes LIST PRICES for all windows, options and accessories. Contractors get their OWN prices, which are much lower than a list price – typically a percentage off list. I get about 65% off list price, which is VERY good (I compared my prices with other contractors). Big clients get (by my estimate) 70-75% off, depending on volume. In the table above, I used high cost for subs to minimize confusion. Also, in this price list, installation includes fiberglass insulation between the window and window opening, and reusing old window stops. Each window comes with LOW-E + Argon Gas and has double pane, with standard weather stripping and insulators for each window line. Low-end windows have MECHANICAL Frame + Sashes. Mid Range windows have Welded Frame + Mechanical Sashes. High End windows have Fully Welded Frame + Sashes. These prices do not include exterior frame copping (metal wrap) which costs $50-90 depending on the contractor, window size and how high off the ground window is. Also not included: Grids or Triple Pane glass. Triple pane is optional only in High End windows and costs $30-40 per window. My windows were 189 any size installation everything. Window World. That’s because window world has cheap windows with no insulation in the chambers and cheap glass that break if you look at it the wrong way, unless you upgrade in which case you are spending $755 on a decent window. They also don’t do things by code such as tempering glass that by law needs to be tempered (letting the home owner “waive” this and not adding lead safety removal per window on houses built before 1979 which is against city code as well. And they are not energy efficient by any means, so I don’t know why the even use the energy star logo. Must be .27 u factor in our area, so don’t put that they are energy star for ALL areas. Shady. So….if I want a really good insulted window, its going to be about $900 each?